to the perceived world, the general instrument of my understanding. More than any other western philosopher, Maurice Merleau-Ponty emphasized that we know the world as we know it because we have bodies that indissolubly tie together actions and perceptions. Subsequent philosophers such as Mark Johnson provided additional arguments and evidence for the embodied nature of our knowing and learning. I live gardening, cooking, remodelling, and cycling, to take but a few examples, in the same way that I live writing research articles and books. We always know with our body-minds. Masciotra, D., Roth, W.-M., & Morel, D. (2008). Enaction: Toward a Zen mind in learning and teaching. Rotterdam: Sense. Roth, W.-M., & Lawless, D. (2002). How does the body get into the mind? Human Studies, 24(4), 459–481. Roth, W.-M., & Bowen, G. M. (2001). Of disciplined minds and disciplined bodies. Qualitative Sociology, 24(4), 459–481. The links below allow you to access brief descriptions and photos of other activities that I pursue. other pursuits Some information on activities other than researching and teaching, for example, gardening, which I conduct, as other activities in the spirit of enactivism and Zen. 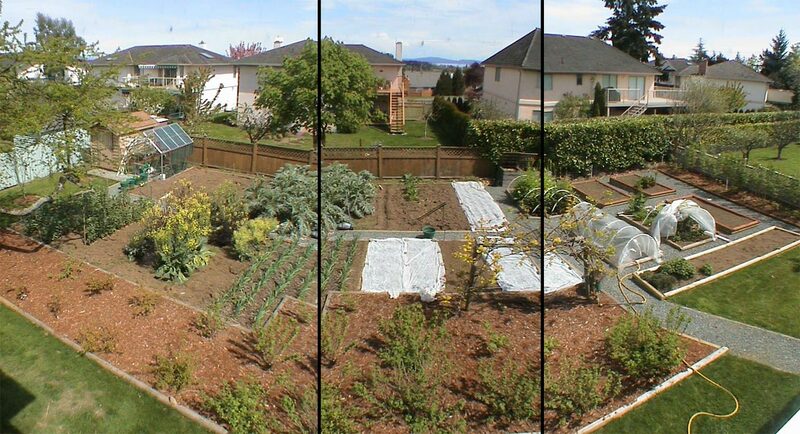 The changing nature of my garden: on June 18, 2002, on October 22, 2002, on November 20, 2002, and on April 29, 2003.
gardening We grow our own vegetables and some fruit and berry on a year-round basis. cooking Using ower own vegetables and other organic raw products, I cook and bake everything from scratch. remodelling We have now remodelled our home, taking out all the unhealthy wall-to-wall carpet and linoleum floors and installed tiles (ceramic, porcelain, and slate) and wood (parquet and strips). cycling Having given up my car, I do all transport and sports using one of my bicycles. bee keeping In 2011, we started keeping bees. After my absence in 2012 (Australia), I started again in 2013. Recycling We compost and recycle to such an extent that we only end up with 1 can of garbage per YEAR! I pull it on my bicycle to a waste collecting place.